If you or your loved one have come here looking for tea tree oil scabies remedies, tea tree oil may bring some relief. I am so sorry that you are having to suffer through the misery and itching scabies can bring. Over the years we have had many clients purchasing tea tree oil to deal with just that. If you have itching and a rash and aren't sure it's scabies, Prescription for Nutritional Healing Book says "sometimes you may see thin wavy lines coming from some of the lumps when looking closely." Scabies are a parasitic mite that lives under the skin, and burrows into the top layer of the skin to lay its eggs, causing the small red lumps. They are highly contagious! So be careful in your home to separate your laundry and bedding in plastic bags to keep from spreading. Keeping your finger nails trimmed and clean too will help minimize spreading. You may even want to hire a reputable carpet cleaner to come in to clean for you. It has also been recommended to use an enzyme spray on furniture and bedding as a safe way to deter the pests. Nature's Sunshine Products offers an enzyme spray called Nature's Fresh. Some are using it directly on their skin for many skin ailments, though I don't know if anyone has tried it on their skin directly for scabies. As a tea tree oil scabies remedy, many have found tea tree oil to be soothing to the itching and have applied it topically or in the bath. Just be sure to try a little at a time because if you are sensitive, you don't want to make matters worse. Again for skin sensitivity, you will want to make sure that you have fresh, pure Australian oil. Along with tea tree oil scabies remedies, from what I have read the most promising hope for getting rid of the mites fast is to bathe in a sea salt mineral bath has been said to bring relief and end the scabies. There is one called Dead Sea Magic Mineral Bath Salts. For laundry, some are saying not even hot water and a hot dryer are doing the trick. Tea tree oil is easy to add to your wash, and I am wondering why not add the mineral sea salt to the laundry as well. 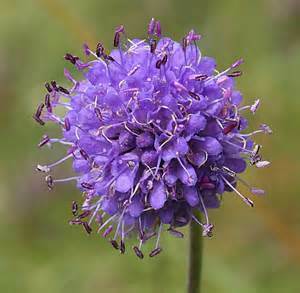 In my research for scabies, in the Encyclopedia of Herbs and Herbalism there is a plant listed called "Devil's-bit Scabious. The second part of the name was given as it was used as the old time treatment of scabies, but now rarely used. As a mother we have used tea tree oil to treat so many different ailments, but fortunately our family has not suffered with scabies, so I can only give you what I have read and how our clients have used it. I hope that you will find what you are looking for naturally as a remedy and that this information be of some help. Please if you are or have suffered with scabies and have a remedy that has worked or the amounts of tea tree it took for your relief let me know. I know it would be greatly appreciated to so many.